Just add coconut-scented sunscreen for the full tropical escape effect. You'll feel far, far away the second you step inside. Visor optional, but some skill required if you plan on winning (which of course you do). Hang out on the balcony when it's nice. Or gather around the fireplace in the chillier off-season. Sunshiny by day and tiki-torchlit by night, the Tahiti All-Suite Resort takes its South Pacific theme to heart, and will have you wondering where you can pick up a ukelele. (A few chords can’t be that hard to learn, can they?) Pull up under the thatched roof porte cochère for help unloading your (borderline ridiculous number of) bags before heading through the main lobby area, with its island-style ceiling fans, then on out to the lush tropical grounds. Prove you didn’t technically overpack (despite friendly accusations to the contrary from your crew), and begin working your way through all the Vegas-worthy outfits you brought, starting with something stylish for sitting poolside. Make the palm-lined courtyard area your semi-official lounging headquarters, where you’ll be stretched out on a recliner by the sand-beach pool, or tucked under a private cabana, celeb-style. When (if?) motivation strikes to do something more active than paging through a gossip mag, change yet again – this time into dri-fit for the fitness room, or a golf shirt so you look the part on the putting green. You’re just steps from your vacation residence anywhere on the property, so it’s an easy stroll back if you get to the pool and realize you forgot your must-have straw hat or sunglasses. Each spacious one or two-bedroom suite is equipped with a full kitchen–perfect if the casual courtyard BBQs are more your style. Balconies are happy-hour-ready – just mix up some drinks, grab some snacks and watch your group magically appear. (You won’t have to call them twice.) For chillier nights, move the party inside by the fireplace in the living/dining area – and see if you can get a game of Euchre going while you compare winnings from the slots earlier in the day. 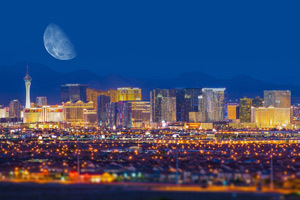 Relish the laid-back, off-the-main-Strip vibe, knowing you can hop the free scheduled shuttle to the heart of the action anytime – you’re just two and a half miles from MGM Grand Casino. Free onsite parking and a car rental desk give you the option of taking a day trip or two. Want someone else to do the driving? Ask the concierge to book a Grand Canyon helicopter tour or day trip to Hoover Dam. Prefer to stick closer to home? The Big Bus Hop-On Hop-Off Tour gives you the lay of the land, plus some fascinating Vegas trivia you can use to impress your crew over drinks or a soak in the hot tub later.